The Pete V. Domenici U.S. 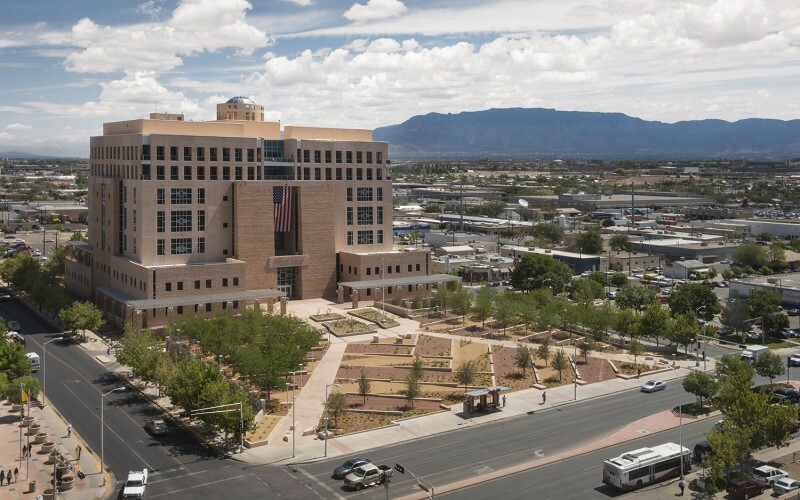 Courthouse Sustainable Landscape Renovation in Albuquerque, New Mexico reconnects an existing site to place through an evocative, sustainable design. Led by Rios Clementi Hale Studios, the multi-disciplinary team proposed a design that re-imagined and re-purposed existing site elements with sustainable strategies to create an exemplary landscape rooted within its context. 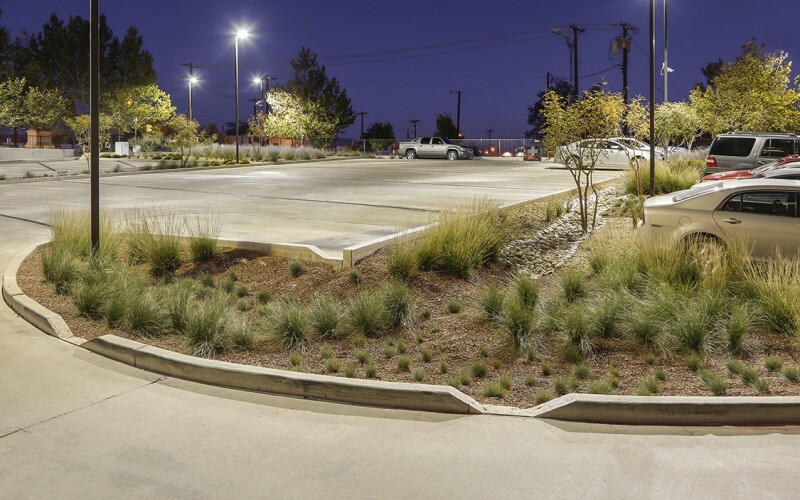 Deriving patterns from regional and site history, the project creates a bold landscape and dignified setting for court operations while enhancing efficiency and sustainable operations through improved water management, decreased energy use, and increased urban habitat. Through the conceptual design process, a new story for the site was woven through art, ecology, engineering, and cultural history, achieved with key improvements in five areas: water, material re-use, energy, habitat, and culture. 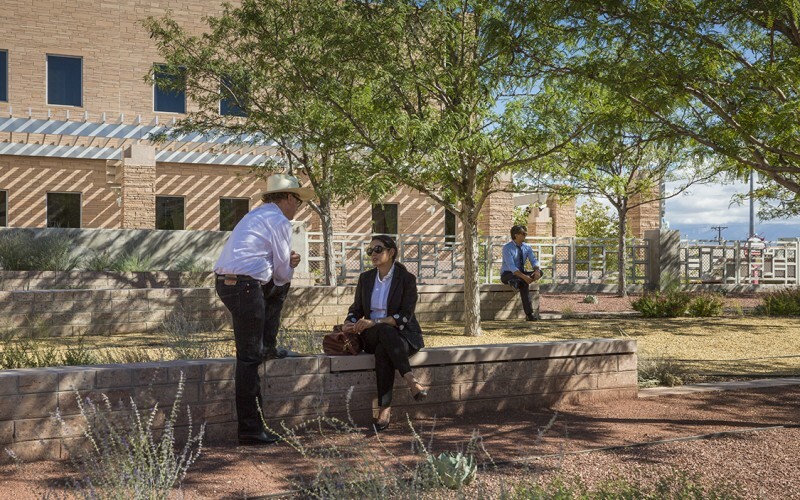 The result deftly balances security and public access to integrate the Federal Government into the local community while greatly improving the efficiency and economic viability of the site.